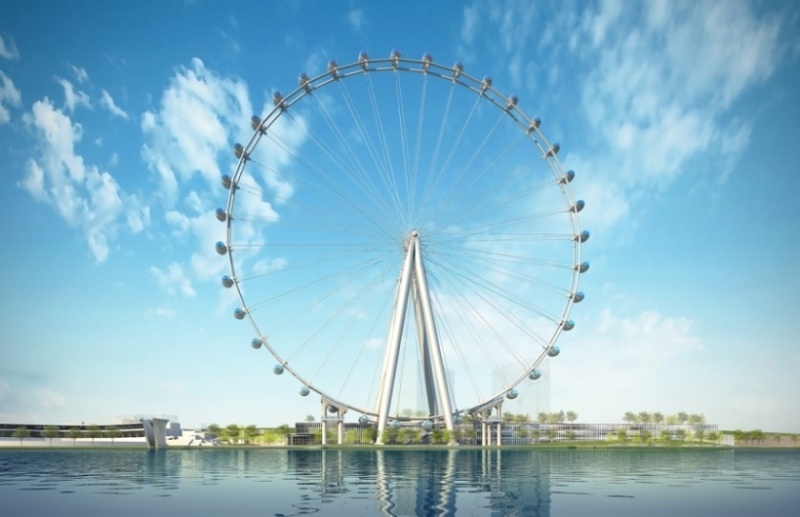 The Italian company leader in the pressure equipment industry, will participate in the construction of the New York Wheel, in New York, the biggest observation wheel in the world, together with the one to be completed in Dubai. Luca Tosto: the Made in Italy from Abruzzo will be part of the future symbol of New York. 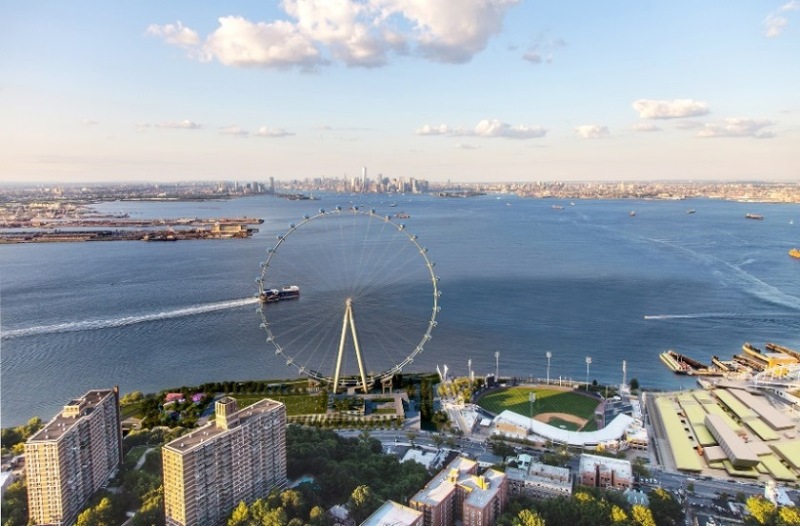 The impressive New York Wheel, which will stand out in the north eastern area of the Staten Island (St. George), will have structural components made by Walter Tosto. The wheel is 630 feet high, has a diameter of 600 feet and promises to become one of the Big Apple's main attractions, like the Statue of Liberty and the Empire State Building. It will be made of components weighing 2 million kilograms produced by Walter Tosto in the Ortona and Chieti workshops. The company, specialized in the big Oil & Gas, Petrochemical and Power plants, with more than 550 employees, an average turnover of $ 107 million and an Ebitda of 10%, reconfirms, with this award, the value of the Made in Italy in the world, by becoming the ambassador of the manufacturing industry of Abruzzo at an international level. From the observation wheel it will be possible to enjoy a spectacular 360° view of the New York City skyline, the Statue of Liberty, Verrazano Bridge and New York Harbor. Compared to the London Eye (443 feet high, with a diameter of 433 feet), the New York Wheel will be 187 feet higher and 167 feet larger. The New York Wheel will accommodate up to 1.440 people per Wheel rotation (40 per capsule) and will welcome over 3.5 million visitors per year. The business resulting from this worldwide attraction will have a great impact: it will contribute to boost the economy of one of the most important and symbolic business cities in the world. Positive results will be achieved in terms of employment as well, where 350 jobs during construction and 600 permanent jobs are expected to be created. 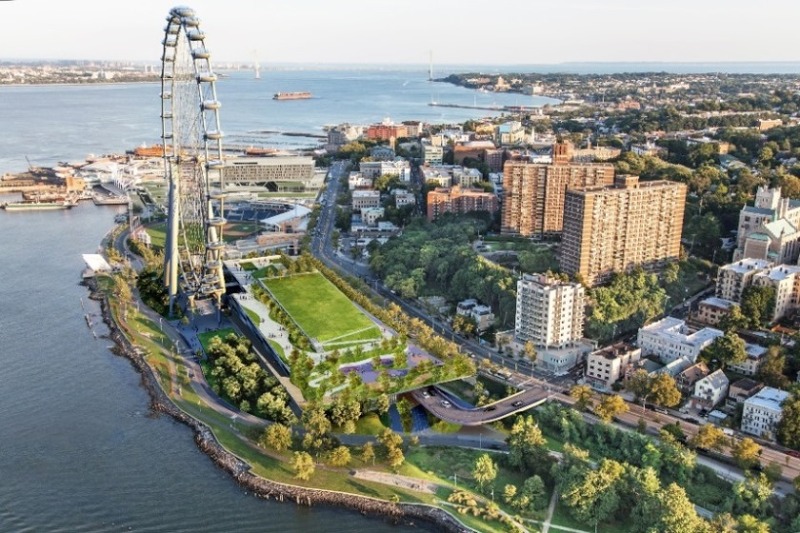 The observation wheel was proposed by the New York Wheel LLC in response to the New York City Economic Development Corp's request for bids for projects that would increase economic growth, boost tourism and create jobs on Staten Island. In order to efficiently manage the design, manufacturing and installation of the wheel, a joint venture, formed by Mammoet and Starneth, the two most qualified companies in the sector, was set-up. This choice consolidates a successful and already proven partnership: the companies cooperated in the past for the construction of Europe's biggest observation wheel: the London Eye. Mammoet is the world's leader in solutions for lifting, transportation, installation and decommissioning of large and heavy structures. Starneth is an engineering company highly specialized in the design and construction of huge structures and observation wheels. The New York Wheel represents one of the most complex creations in the world for its exceptional weight and dimensions. The different components of the structure have been ordered by Starneth and Mammoet to companies located in different locations worldwide. The placement of the foundations is currently underway. The assembly phase will take place between May and October 2016, since this is the most appropriate period for such activities which are expected to be completed in 2017. Walter Tosto will provide the components needed to support the entire structure. The construction will be performed by following the environmental sustainability principles of today's building standards, thus employing several alternative energy sources available in the island: wind, water and sun. "It wasn't easy to obtain such an important order", said Nicola Trivulzio, Sales Director of Walter Tosto, who explained the factors that contributed to the success of the company with respect to the competitors: the ability to fulfill a strict deadline of only eight months, the robustness of the company, its know-how, its competences and especially the valuable and appreciated technical support provided to the customers Mammoet and Starneth since the design phase. Moreover, the availability of large spaces for the manufacturing activities and the direct access to the sea of the workshop located in the port of Ortona were in favor of Walter Tosto. For the operative activities, requiring precision and an accurate study of the materials, Walter Tosto will employ the new Waldrich Coburg Milling Machine, recently inaugurated, which will allow to machine the huge steel pieces. "It's a great challenge for our company", said Luca Tosto, Managing Director of Walter Tosto SpA: "Contributing to the construction of the New York Wheel is a great achievement and we are immensely proud of this. The Made in Italy from Abruzzo will be part of the future symbol of New York".